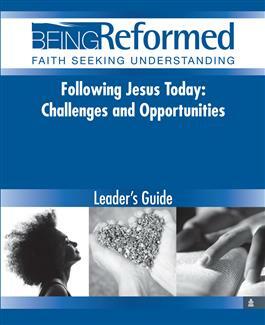 This study considers what following Jesus means-in our personal lives and for the church. The writers, well-respected teaching elders in the Presbyterian Church (U.S.A.) and members of the Fellowship of Presbyterians, reflect on both the challenges and opportunities of modern day discipleship in light of the great ends of the church and core commitments of the Fellowship of Presbyterians. Being Reformed: Faith Seeking Understanding is a series of biblically based mini-courses that provides adults with a foundational understanding of the Reformed faith. Each six-session study-written by well-known and respected scholars-features Scripture, prayer, in-depth commentary, and questions for reflection. Each study addresses its subject from a Reformed theological perspective. Lessons are enhanced through the Leader's Guide, which offers helpful suggestions and direction for group study. The main structure for these guides is the rubric Head, Heart, and Hands.